We love Darwin Sunsets, don't you? 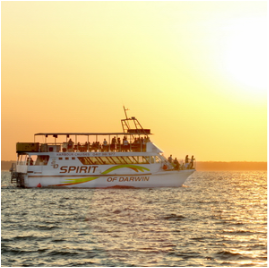 to see the sunset and feel relaxed on the ocean, learn the history of Darwin on this 5 star rated cruise. 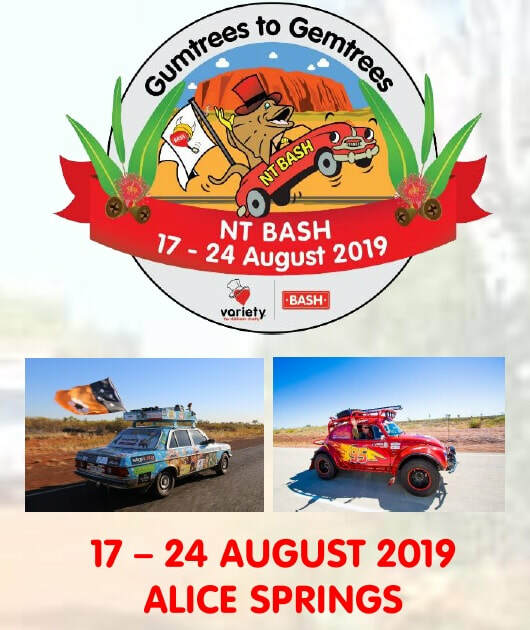 The Spirit of Darwin is a Darwin family run owned and operated business. 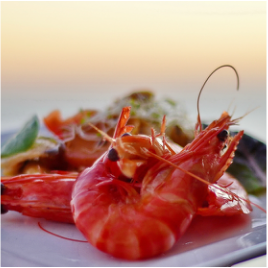 We love to entertain guests on Darwin Harbour with restaurant quality fresh produce, canape's & local Darwin restaurant dining buffet dinners. 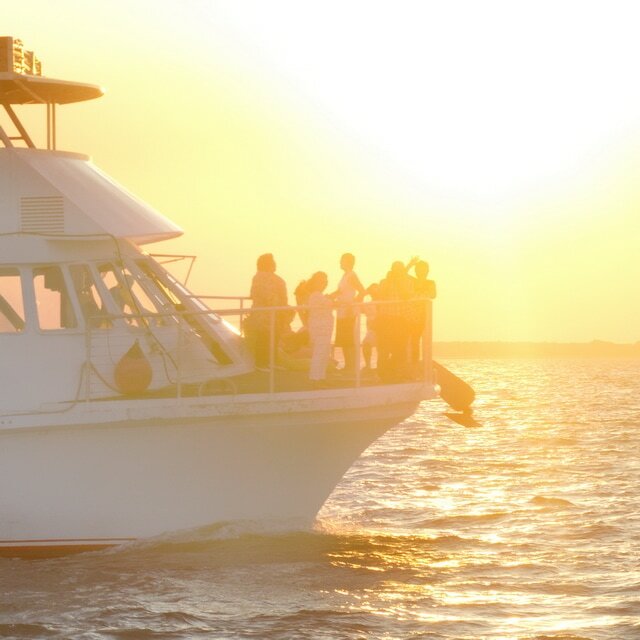 Enjoy a live interactive commentary about the Darwin Harbour, enjoy your complimentary welcome drink from our fully licensed cash bar, while watching our famous Darwin sunset over the water & fish feeding to end an great evening out in Darwin. 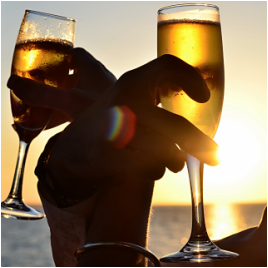 Cruise Darwin Harbour with a complimentary drink, shared antipasto canape's, live commentary on a two & a half hour cruise with fish feeding. Darwin Corporate function dinner venue hire for wedding reception, events, Christmas parties, birthdays, school discos and we cater to 160 guests just email us the details. Darwin Harbour Sunset with the sun, water and fresh food, cant bet it! Follow us on Facebook, you could win cool stuff! Did you know? Fish Feeding is Exclusive to Spirit of Darwin Cruises! Copyright © Spirit of Darwin 2019. All Rights Reserved.